If there’s one thing I’m a pro at, it’s shopping and I always say that it’s the only sport I get to do every week. 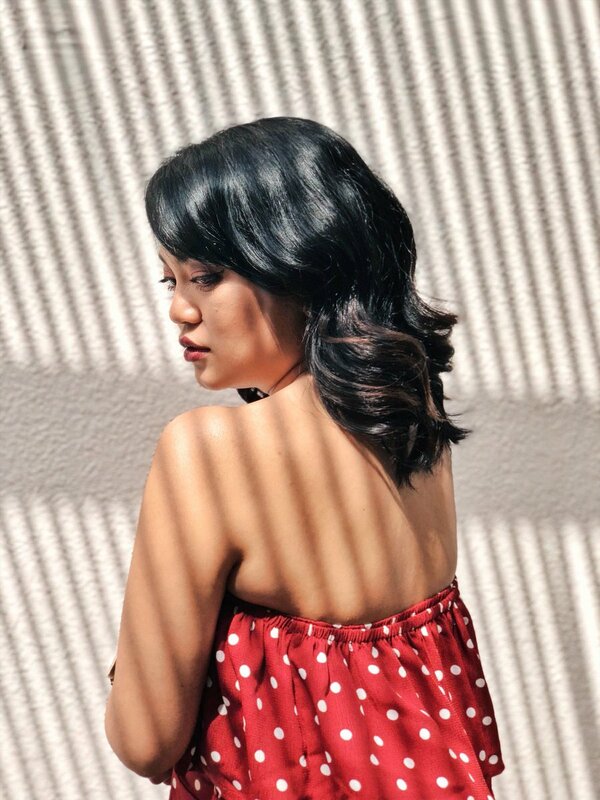 Shopping from my favourite malls to my most reliable online shops, using my plastic cards or GCs gifted by family and friends.. Or so I thought. A few weeks back, the YouGotAGift.com emailed me, introducing the site and asking me to do a feature blog post as well. At first I was in doubt because I have never heard of such a thing. And so I stand corrected, I’m not much of a pro at shopping as I thought I am, because the concept of this website is amazing. 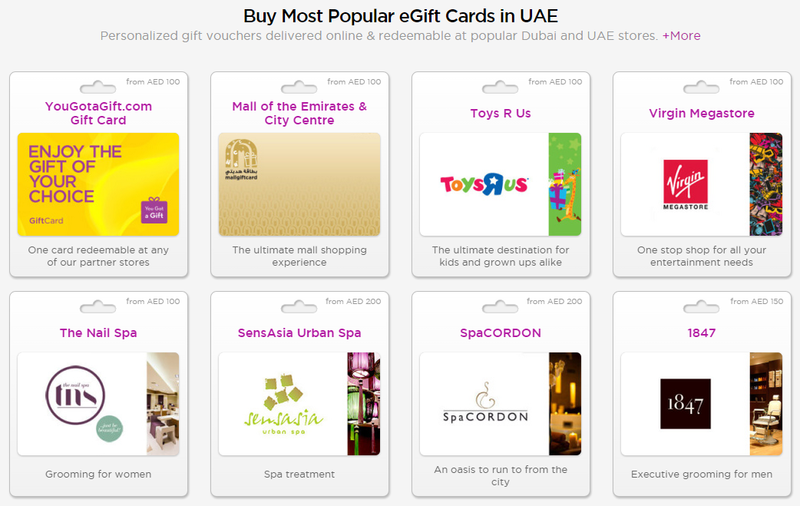 YouGotaGift.com is the first of its kind Online Mall for Gift Cards in the Middle East. The service offers a fun and convenient way of gifting prepaid Gift Cards from leading stores like Nike, Mall of the Emirates, babyshop, Virgin Megastore, Galeries Lafayette, S*UCE Gifts, Boutique 1, Faces, iStyle, Swarovski, Vox Cinemas, Ski Dubai, Toys R’ Us and more, using the web and mobile devices. 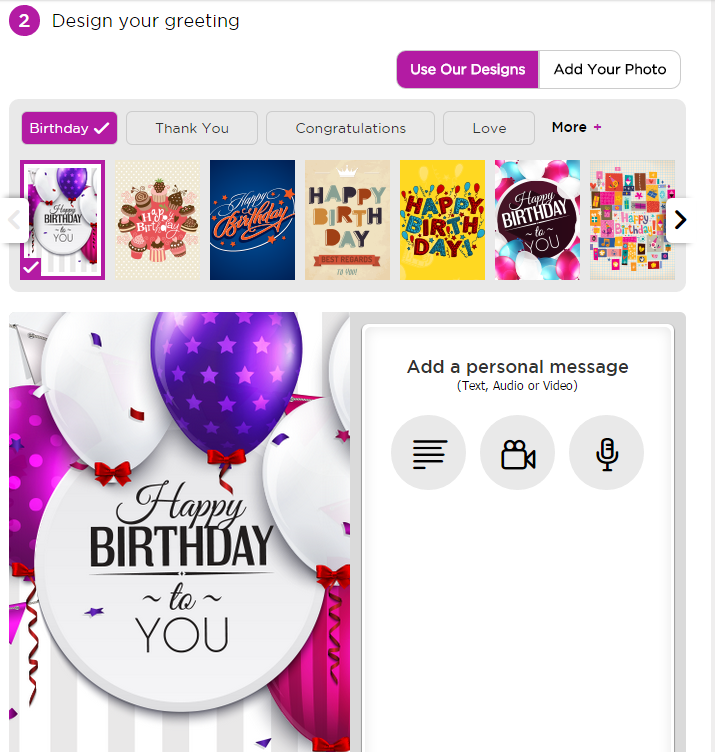 What makes the experience and gifting more personal is that the eGift Cards can be personalized by including greetings and even photos of the person you want to gift it to. And talk about convenience, the Gift Cards purchased can instantly be delivered by email, Facebook, SMS or simply print at home. Here’s a video to briefly show how easy it is to purchase your first (among many, hopefully!) Gift cards online! Once you log on to YouGotAGift.com, you are welcomed with the Most Popular eGift Cards. Among the many, just click on the brand or store of your choice. I have clicked on the Mall of the Emirates and City Center eGift Card and then click on the “Pick This Gift Card” button. After picking your Gift Card, the next step would be loading it with some $$$. What makes this concept more appealing is that everything will be done as to how exactly you want it to be. So after choosing the $$$, it’s now time to personalize your eGift Card. Like the many brands and stores to choose from, their choices of designs and occasions seems unlimited too. And did I mention, they cater to couples who are about to get hitched too! You can learn more about their Wedding Registry here. And for the last and final step, choosing how you’d like the eGift Card to be delivered and Checkout. All you have to do is register of course, so then you can also make your secure payment with your plastic cards or PayPal. So are you loving YouGotAGift.com as much as I do already? This concept is a big win for people like me who never really know exactly what to get my family and friends on their special days. With eGift Cards, surely we’ll be able to give them the perfect gift because then, they’ll be able to spend it on the things that they’ll really need and use! Follow YouGotAGift.com on Facebook, Twitter and Instagram for latest updates!